In this digital age, where computer generated graphics rule the big screen, subtle isn’t a word that’s used when describing films of the science fiction genre. Cinema goers have become accustomed to the sci-fi blockbuster offering spectacular spaceship battles and invading alien armies, a far cry from the more sombre classics this genre was producing in the late 70s and early 80s. Things appear to be changing though and while there will always be a high demand for the showmanship displayed in the likes of The Matrix and Avatar, a handful of filmmakers are recognising the true infinite potential of science fiction. Two years ago, Duncan Jones kicked off the current ‘less is more’ approach with his slow burning tale of isolation in Moon. A year later, Mark Romanek introduced us to the futuristic period drama with his adaptation of acclaimed and beloved Kazuo Ishiguro novel Never Let Me Go. Whilst Jones’ film, featuring a more classifiable aesthetic, was easier to label as science fiction, both films tackled similar themes by examining identity and the notion of self. Continuing this topic by posing the question “What would you say if you met another you?” Mike Cahill’s character driven Another Earth is another film from this limitless genre that relies more on its viewers’ powers of imagination, than its ability to dazzle and daze an audience with visual bombardments. Rhoda Williams (Brit Marling), a bright young woman accepted into MIT’s astrophysics program, aspires to explore the cosmos. A brilliant composer, John Burroughs (William Mapother), has just reached the pinnacle of his profession and is about to have a second child. On the eve of the discovery of a duplicate Earth, tragedy strikes and the lives of these strangers become irrevocably intertwined. With a plot featuring a parallel universe, it’s hard to believe there could be questions over whether the film belongs in the science fiction genre or not, but when the appearance of a duplicate planet plays second fiddle to the intense situations of our main characters, questions are bound to be asked. Writer and star Brit Marling and director Mike Cahill have managed to do something quite amazing with their film; create a piece in which they tackle expansive universal theories, whilst also developing a narrative of real intimacy through its study of the shattered lives of Rhoda and John. The juxtaposition of the weight and scale of the situations creates an intriguing proposition on screen, the discovery of ‘Earth 2’ has opened up an immeasurable number of possibilities for the characters of Another Earth, yet the introverted sheltered lives of our two main protagonists seems anything but. It’s the grief and daily struggles of Rhoda and John that Marling’s story orbits. The small developments in their lives which should seem insignificant compared to the revelations of this newly discovered planet are made to appear weighty and momentous; the smaller picture for once overshadowing the bigger one. With William Mapother previously limited to bit part roles in TV (Lost, Prison Break, Law & Order) and film (World Trade Center, Minority Report, Swordfish, Mission Impossible II) and Brit Marling still carving out her career in the movie industry, both actors seize the chance to sink their teeth into the meaty roles. Both characters offer a lot of scope for our two lead actors to display the whole gamut of emotions as the relationship between Rhoda and John begins to break from their daily routine of grief and introspection, to be replaced with hope and fleeting moments of joy. With her piercing eyes and flowing locks, Marling was made for the big screen and her performance doesn’t betray this assumption. Consistently engrossing throughout, she puts in one of those performances you don’t dare (or want) to take your eyes off, it’s easy to see why she’s now being tipped for bigs things in the future. At times, the filmmaking choices in Another Earth may appear a little wayward and clumsy, which is to be expected from our fledgling filmmakers, but these brief, wavering misjudgements never stand in the way of what is a truly original piece of filmmaking. Cahill’s film may have the budget and feel of an American independent production, but its heart and ambition reaches far beyond what you would usually expect from a production with a $150,000 shooting budget. 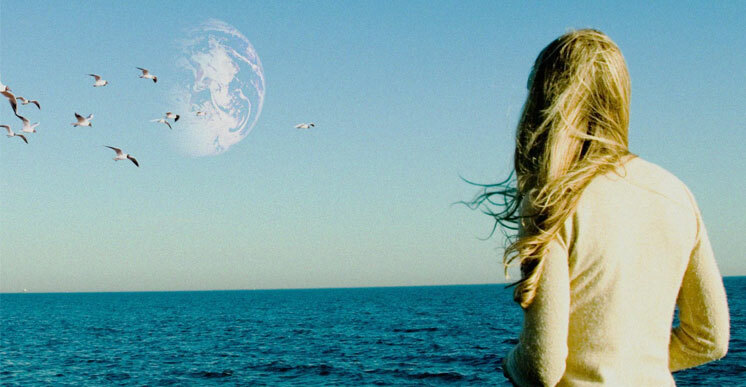 Another Earth is a challenging and demanding watch, a film for those concerned with the mysteries of the universe, but don’t come expecting answers, in fact this is a film that may open up more questions than it solves.